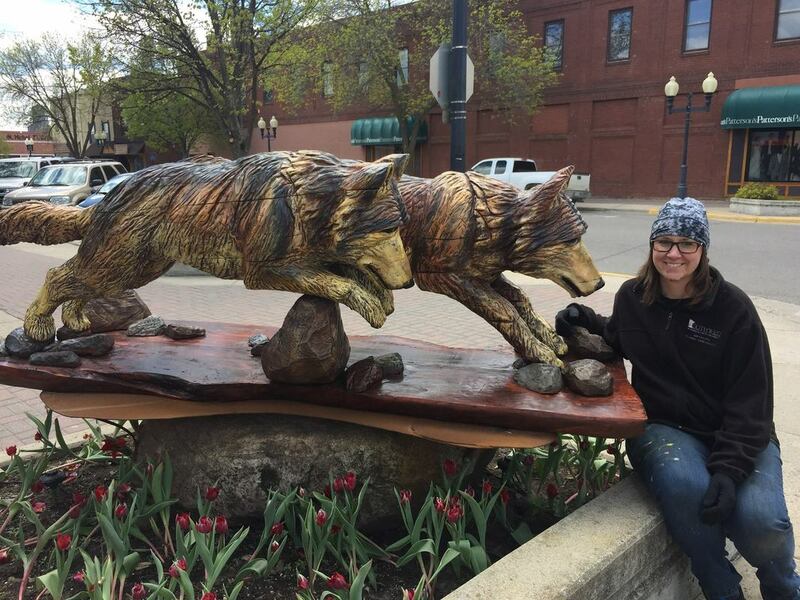 Wiste Woodworks creates one of a kind chainsaw carvings. Please take a look around to see my work. It varies from welcome signs for your cabin, a small bear cub for your porch, benches, carved end tables, to complex sculptures with many elements. I work mostly with pine, though many woods work well for carving. All carvings are guaranteed to crack...if you don't like the characteristics of wood, it might be best to buy something plastic. If you love wood and all it's characteristics, including the checks or cracks that occur with whole log work, a chainsaw carving is for you. At times I have several orders, but I can put you on my list. Please see my contact page to order, and if you don't see exactly what you want, ask. I can usually carve almost anything.